This page will soon feature performance numbers for the majority of routines in CULA R12. Click on the charts to expand. 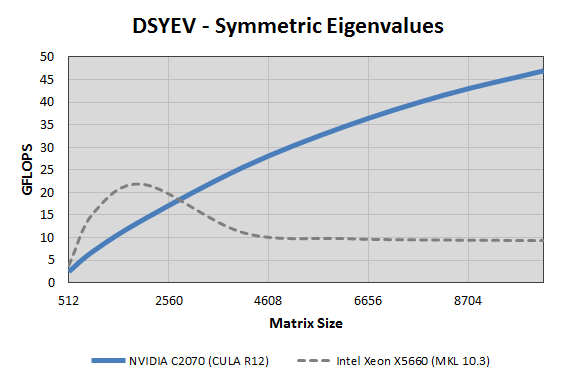 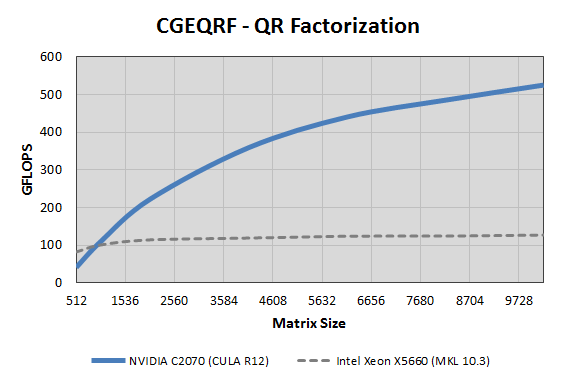 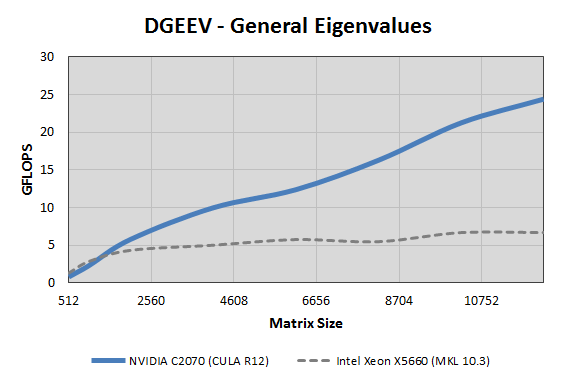 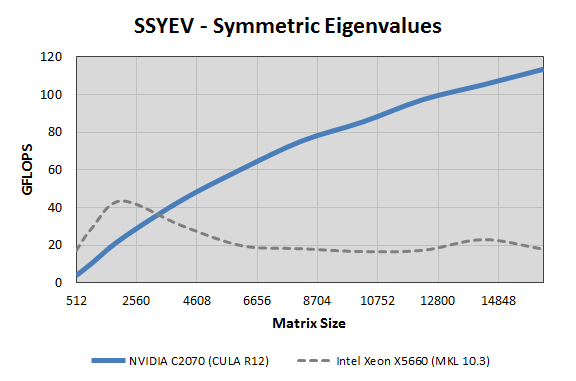 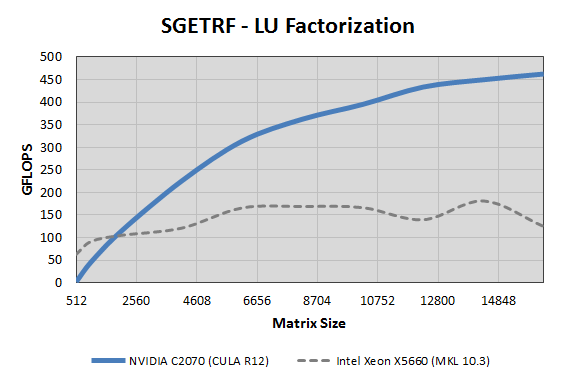 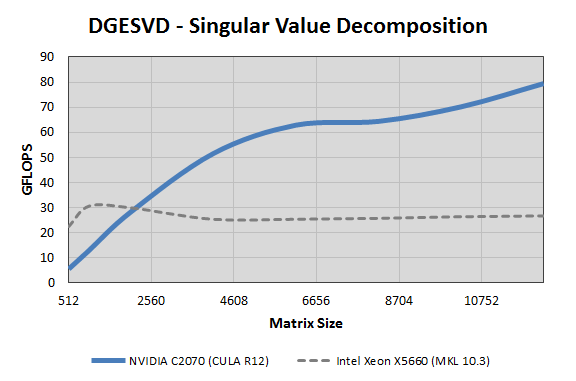 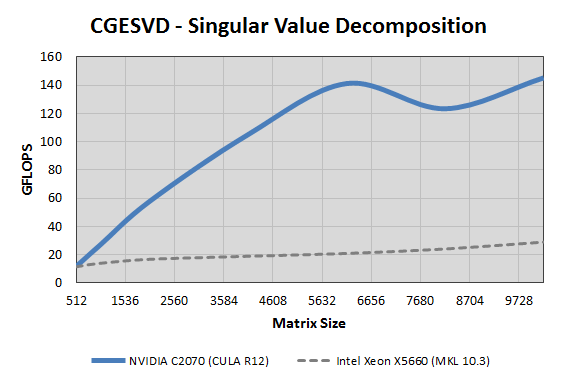 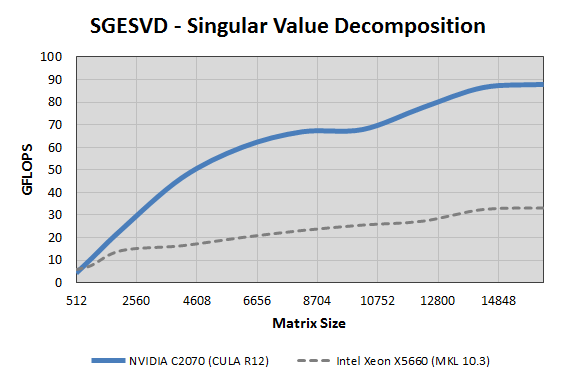 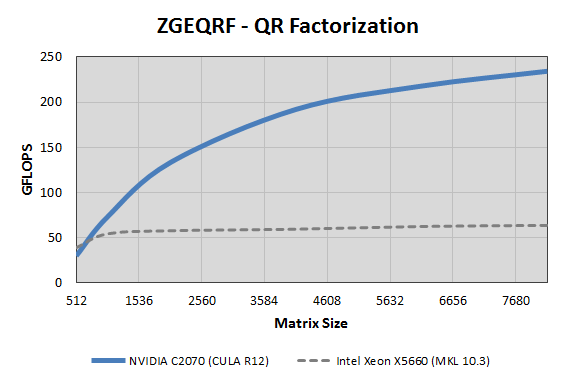 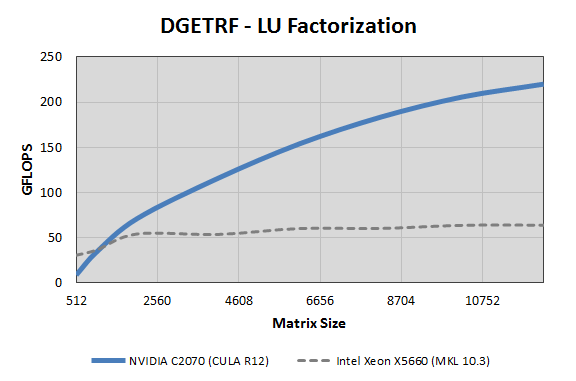 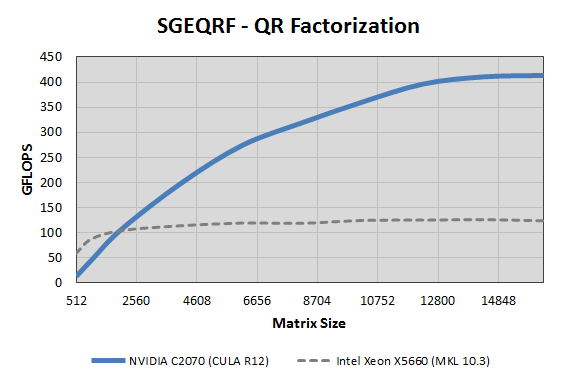 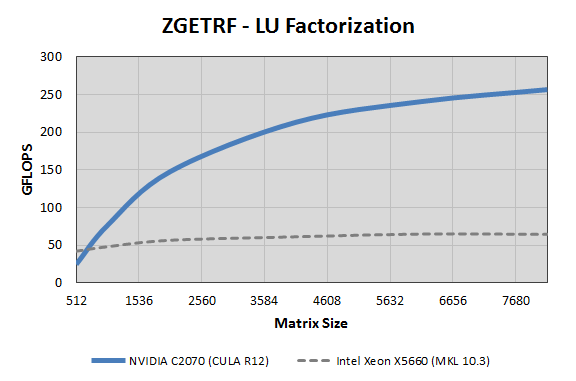 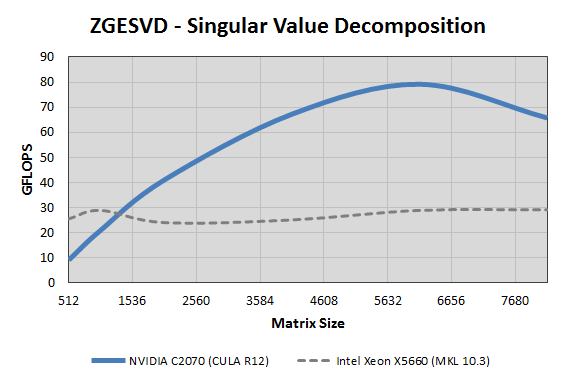 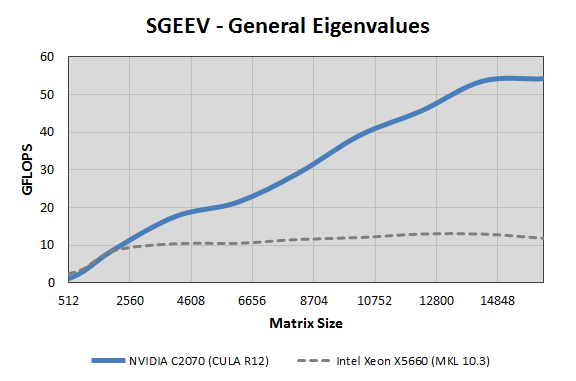 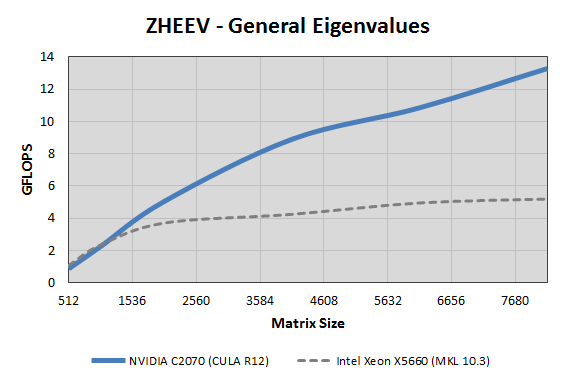 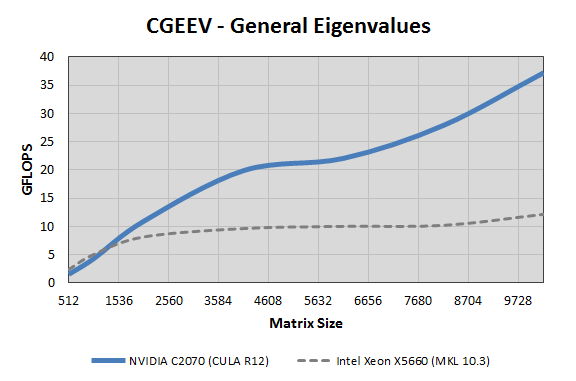 All benchmarks were obtained by a system containing an NVIDIA C2070 GPU and an Intel Xeon X5660 CPU running CULA R12 and Intel's MKL 10.3. 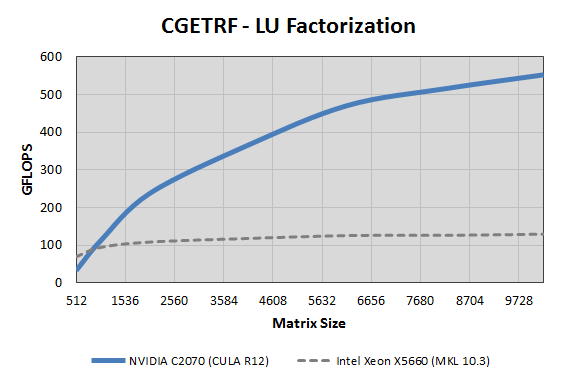 The CPU benchmarks have all 6 cores active.